Where are the world’s retailers focussing their attention? Bangkok’s world reputation as a shopping hotspot for fashionistas and luxury goods is rising fast. The capital now ranks eighteenth in terms of international retailer attractiveness, just ahead of Las Vegas. The Destination Retail 2016 report from JLL. The report reveals that Asia boasts five out of the ten most appealing destinations for international retailers globally. The report ranks world 140 cities by their appeal to cross-border retailers. It shows that Hong Kong is second only to London in popularity to the big retail chains. Some other Asian cities in the top ten 10 are Shanghai, Singapore, Beijing and Tokyo. 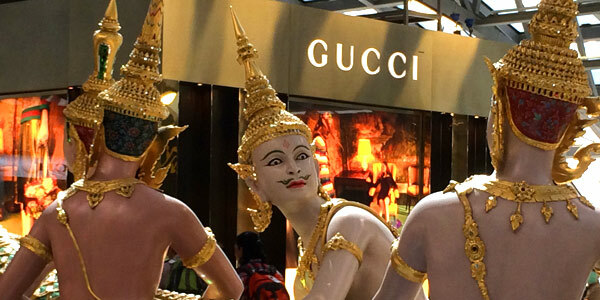 Boosted by rising local incomes and growing tourism numbers from across the world, Bangkok continues to attract the big brands – H&M, Zara Home, Pull & Bear, Victoria’s Secret and many, many others. Recently, retailers such as Dior Homme, Pierre Hermé, A Bathing Ape and Tiffany & Co. have opened up shop in the City of Angels. The Ratchaprasong “Golden Mile” is the heart of Bangkok’s retail market and attracts plenty of local shoppers as well as the growing swarms of tourists, thanks to its central location and access from the Skytrain. There’s a total of eleven shopping centres, including Siam Paragon, Central World and Siam Square One. The recently completed EmQuartier, Central Westgate and Central Festival East Ville, all outside the city centre, are providing some additional geographic diversity to international retailers. In the luxury sector, seven cities from Asia Pacific are among the global top ten. These include Hong Kong, Tokyo, Shanghai, Singapore, Beijing, Osaka and Taipei according to James Assersohn, Director of Retail for Asia Pacific, JLL. With economic malaise still infecting many of the traditional retail cities in the West, the focus is certainly moving towards Asia. Bangkok’s big improvement in the report is a good sign for retailers and shoppers heading to the Big Mango.